We've all heard the adage, "the customer is always right." I disagree. In my travel business over the years, I have encountered clients who have asked me to do something that is unethical in the least, illegal at the worst, or sometimes just plain wrong for them. How do you respond? The illegal requests should be a no-brainer, so I was surprised to read a post by a travel agent in a trade magazine. She said she had been contacted by someone outside the country who wanted her to buy him an airline ticket to the U.S. and offered her additional money if she would tell the State Department — if asked — that she knew him well and knew he only wanted to visit family. She further recommended that this was an untapped market and would be a good source of extra income. Hmm ... conspiring with an unknown individual with a probably nefarious agenda to lie to the U.S. State Department sounds like a good revenue stream? I see disaster ahead — for her personally and professionally, as well as for the country, a possible breach of national security. I hope no readers took her advice. But what about situations that aren't as dramatic. Think about a common request from clients who want to cram their entire family in one hotel room despite maximum occupancy requirements. "Who will know?" I have been asked. Well, first of all, I know. And I will not participate in such an unethical and possibly unsafe request like that. Fire marshal regulations about maximum occupancy are there for a reason, and I'm not going to knowingly risk anyone's safety. But putting safety aside, it's still unethical no matter how you look at it. It's stealing from the hotel by depriving them of the revenue from that extra room or bedroom. If you steal a purse from a store but don't get caught, you've still stolen a purse. I remember clearly a large family who was frustrated with me for looking at only two-bedroom suites; they insisted they could fit into one bedroom by having some of them sleep on the floor. "Absolutely not," I told her. "You're cheating the hotel, and I've worked too hard to nurture close relations with them to risk my professionalism and integrity over this." I said I would not participate in such a scheme, and she needed to find a new travel agent. She did leave, and I suspect that for the next travel agent, she simply lied about the size of her family — or booked on her own omitting several family members from the booking. Of course, I need new clients just like everyone else, and I don't throw them away lightly. But I will if my integrity will be compromised. And besides, if a client is so complacent about cheating a hotel, I'm sure she wouldn't have any compunction over cheating me either, given the opportunity. I'd rather have no clients than clients like that. But then there are the situations where the clients' requests aren't illegal or unethical, they're simply wrong for them. For example, I specialize in distinct destinations and know the properties well in those destinations. I spend a great deal of my energy to learn the demographics and psychographics of my clients so I can match them perfectly to the right destination, the right property. So, it's frustrating when clients say things like, "my best friend went to XYZ 20 yrs ago and stayed at the ABC hotel and loved it." Well, that was 20 years ago, and now it's a dump in an unsafe part of town. Or, "my uncle owns a timeshare there, and he said he'd give it to us for free for the week." It might be a timeshare situated on a smelly harbor with gusty winds nonstop, which I know would be disastrous for their needs. In those situations, where I can't convince the clients that I know what would work better than a 20-year-old hazy memory, I let them do it on their own. "I know it's wrong for you, and you're not going to like it," I tell them. "So I'm not going to participate in what I know will be a wrong decision. If I book that for you, knowing that you would be unhappy, you would come home and be angry at me for not stopping you. I would rather lose your business than your respect, so I will allow you to book that on your own — no hard feelings." Sometimes the client insists they wouldn't hold me responsible for something they insisted on against my better judgment, but they would and will. This fact was driven home to me some years ago when I was doing independent site inspections in Hawaii and staying at a very nice four-star property. A young man on his honeymoon struck up a conversation with me, not knowing that I was a travel consultant. I asked him how he liked this resort, and he shrugged and said it was OK. But then he went on to tell me that his travel agent had originally booked him and his new bride in an ultra-luxury five-star property for their honeymoon. Naturally, I wanted to know how they landed in this four-star property instead. "About a week before our wedding, my wife's best friend told us that she had stayed at this hotel, and stressed that it was much nicer than what our travel agent had booked," he said. "So, my wife told our travel agent to switch us from that other property. The travel agent told us we were making a mistake and tried to convince us to keep the original property, but my wife insisted that we listen to her friend. And now I'm so mad thinking about what we could have had." I asked, "Mad at your wife or her girlfriend?" He replied, "Mad at them? I'm mad at my travel agent! She should have known better." And there's the crux: Their travel agent should have known better. Now, you may say that their travel agent did know better. After all, she tried to talk them out of it. But by booking what she knew to be a bad decision, she abdicated her role as advisor and essentially conceded that they knew better. Was it fair to blame that travel agent for acceding to the client's demand? 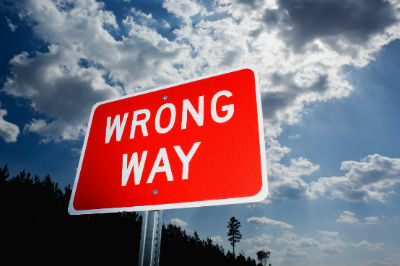 The critical issue is that you will be judged by your behaviors, recommendations and travel decisions by your clients. No client wants to hear a travel agent tell them, "I told you so" on their vacation return. That does not ease their disappointment over missed opportunities, and it just makes them angrier. It doesn't matter what you've told them ahead of time; what they'll remember is what you do. I planned a first-time Hawaii vacation for a couple after many long consultations and knew they would love a particular luxury property along a beautiful beach. All was well until the wife told me she wanted to make some changes. She had found a "cute B&B by owner" listed in a travel magazine and wanted me to include a few days there during their vacation. I knew that B&B, and it wasn't "cute" and wasn't in a desirable location or in a desirable microclimate. I tried to no avail to explain why they wouldn't be happy there. Nope, she was set on this "cute B&B," because the description sounded so wonderful. I told them they could book that on their own because I was not going to do something against my better judgment, and I would sandwich the luxury resort stay around the B&B in the middle of their trip. They were fine with that plan. Their first night at the B&B, they called me to say, "Get us out of here" and back to their lovely luxury resort as fast as possible because they could not bear to spend another night at their "cute B&B," which wasn't anything like they'd seen in the travel ad. Not only was my expertise intact — they never doubted me again — but they also added "rescuer" to my repertoire of achievements. I hear a lot of travel agents proclaim that they're travel advisors, not order-takers anymore. That means you have to have confidence in your recommendations and be willing to back up those recommendations tangibly by your actions, even if it means that you risk losing a client. Anne Rose is President of Cameron Park, California-based Celebrate-Travel, a boutique travel agency specializing in custom-designed leisure travel. She is passionate about travel and loves helping consumers experience the joys of travel. Prior to owning a travel agency, Anne served as Director of Communications for a multinational corporation, owned a marketing agency, hosted radio programs, and taught seminars on communications, publishing, and marketing. Full-time RV living: Should you buy a 5th wheel or a motorized RV?